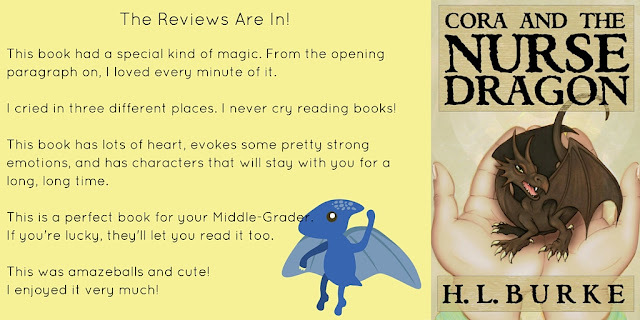 Amazon Giveaway: Cora and the Nurse Dragon! I'm trying my first Amazon Giveaway. Two people will win ebook copies of Cora and the Nurse Dragon. Just click here for your entry. Fantasy Fan Art Contest!!! Fellowship of Fantasy! Short Story Review Round Up! H. L. Burke Author: Survey!